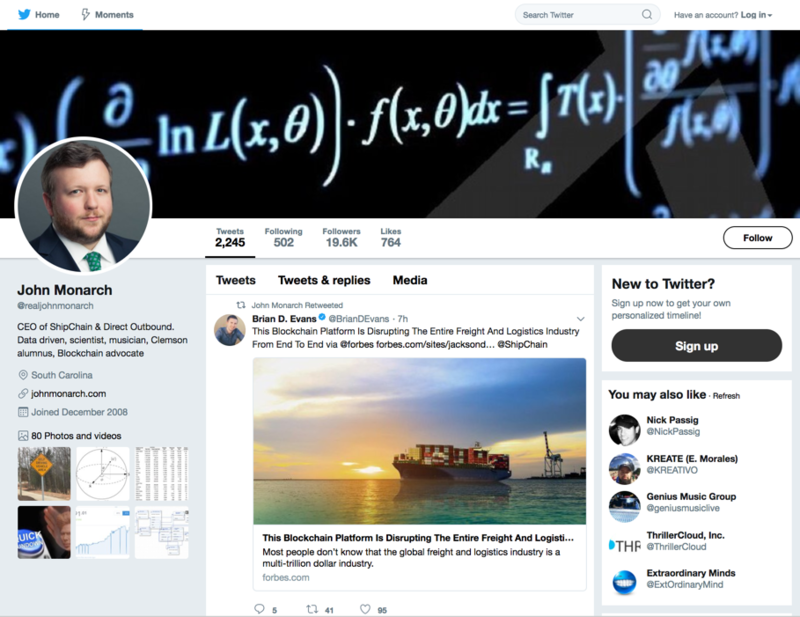 Shipchain, an ICO cryptocurrency seller that is run by John Monarch, has been caught paying contributors on Forbes to publish articles promoting Shipchain without disclosing that the articles were paid for. 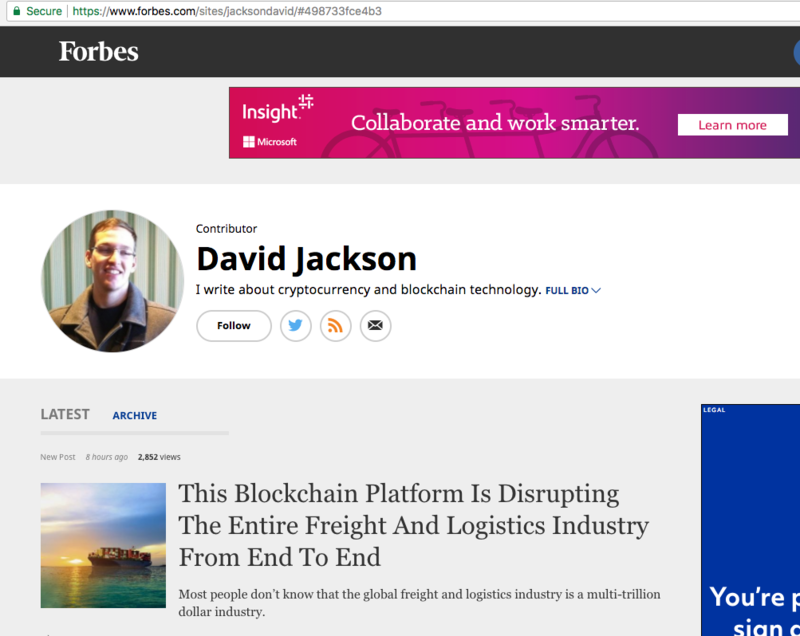 According to Shipchain’s vendor Adam Torkildson, Shipchain paid $1000 to publish an article today on Forbes that hailed what a great company Shipchain is https://www.forbes.com/sites/jacksondavid/2018/03/12/this-blockchain-platform-is-disrupting-the-entire-freight-and-logistics-industry-from-end-to-end/#31eaadf832a2. One might think “Wow! 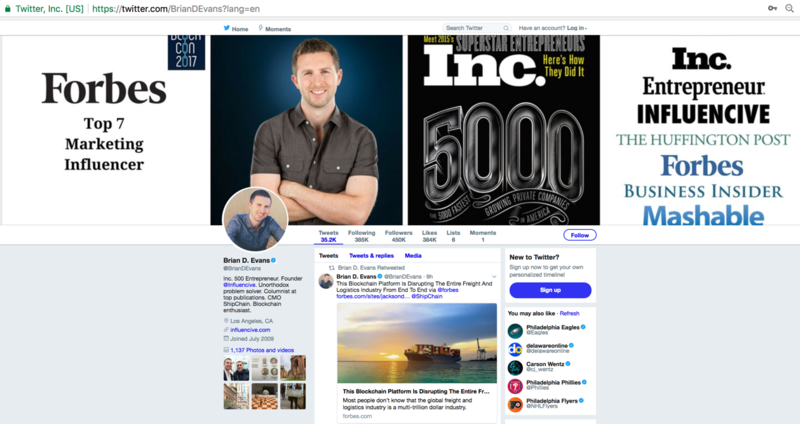 Shipchain is a truly revolutionary company, sounds like a great investment, especially since Forbes is printing it.” Afterall, Forbes is one of if not the most prestigious financial publisher in the world. “Today, you don’t have to look very hard to find a blockchain project in the making—similar to how everyone in the 90s was working on the dot-com of this and the dot-com of that. 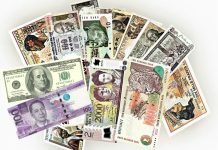 But there are a handful of blockchain platforms poised to do things even the Internet couldn’t accomplish. One of them is ShipChain. In ShipChain’s case, this means tackling the freight and logistics industry’s lack of transparency, middleman markup, fraud and lack of party responsibility, and visibility from end to end. And with the team they have in place, they’re poised for success. “There’s a real need for ShipChain in the freight and logistics industry. Over years of importing and selling billions of dollars worth of product, I’ve experienced this industry’s frustrations firsthand. Old archaic systems, confusing mazes of paperwork (literally “paper” work, a lack of technology), layers of middlemen, and a very fragmented industry in its current state, ShipChain helps solve a lot of these problems,” said Kevin Harrington, renowned entrepreneur, original shark on Shark Tank, and advisor on the ShipChain team. Unlike most blockchain companies popping up these days, ShipChain recently closed a completely private funding round, raising $30 million to continue building their platform on the blockchain. The team in position is an impressive roster of blockchain experts, digital marketing gurus, and freight and logistics leaders who want to spearhead the disruption of the age-old industry. Advisors include Chris Perdue, of Perdue Farms, and Al Pettenato, the VP of XPO Logistics since 2012, among others. The company is helmed by John Monarch, a lifetime veteran of the freight and logistics industry. In addition, ShipChain is a member of the EEA: The Enterprise Ethereum Alliance. The EEA connects Fortune 500 companies and industry leaders together, specifically for the collaboration of building upon the Ethereum blockchain. ShipChain is also a member of BiTA, a group of companies (including FedEx, IBM, UPS and ShipChain) leading the way in freight technology industries, specifically with a focus on blockchain technology. This tactic of pay-for-play without disclosure is an FTC violation. More troublingly though is that Shipchain, whose raised over $30M from investors from its ICO offering, published an article on Forbes that unwary investors may believe is an accurate Forbes article depicting a great company that is taking over a billion dollar business, when in reality Shipchain paid $1000 for the story. 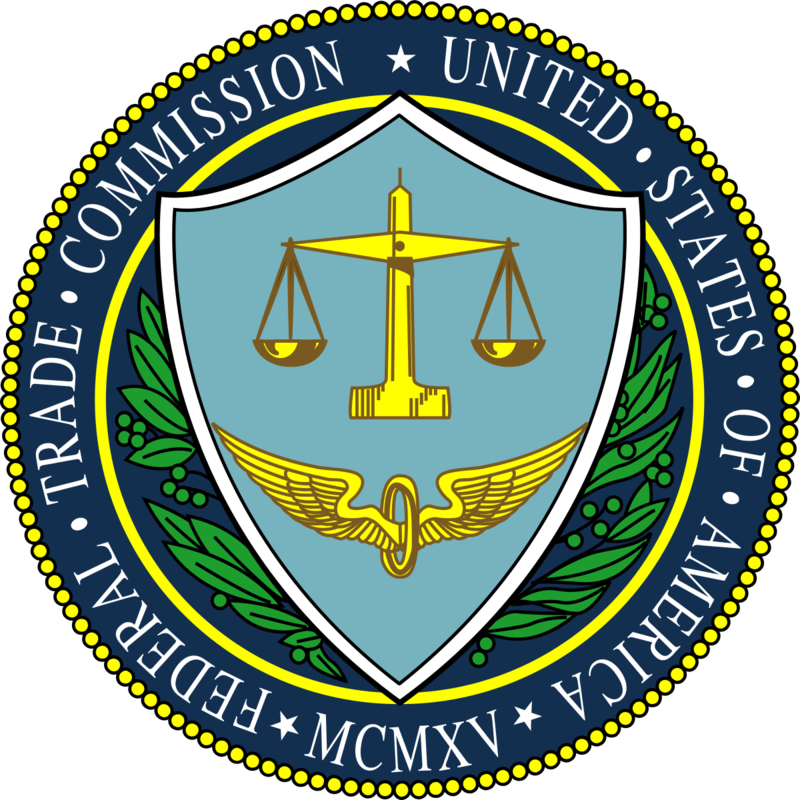 The FTC has clear disclosure guidelines for sponsored posts, requiring tags such as “sponsored” to clearly appear when money exchanges hands. 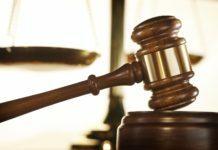 It appears that Shipchain has violated these guidelines. The USA Herald is looking into other articles that Shipchain may have paid for in promoting its ICO offering and/or post ICO offering. If you have a tip on Shipchain, please contact us here. 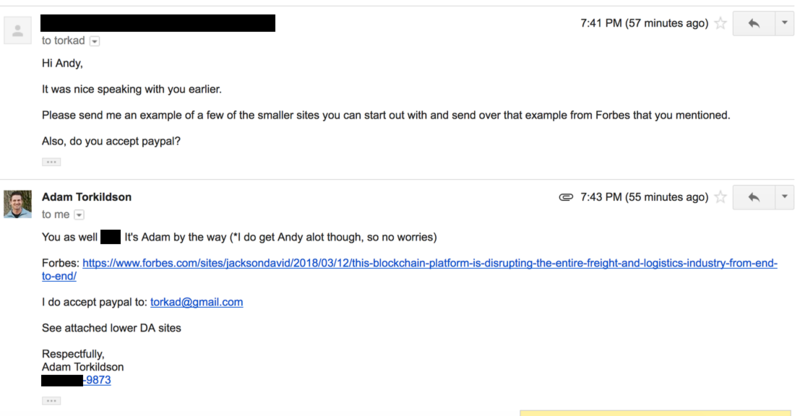 Here’s a copy of the Forbes article Shipchain paid $1000 to a contributor to write that was taken down by Forbes a short while ago. 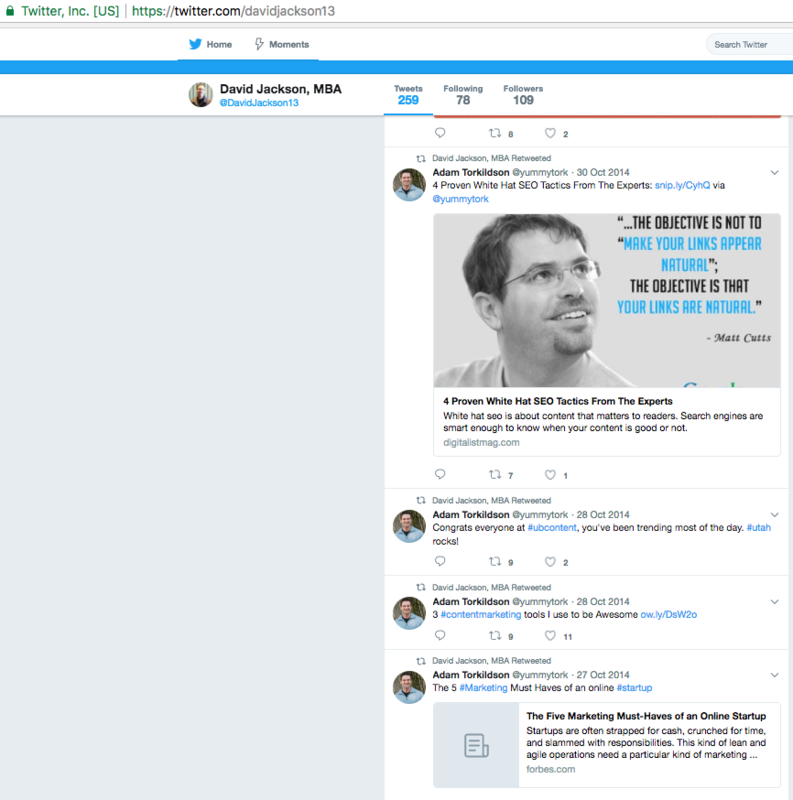 After reading that article, we looked into the Forbes contributor “David Jackson” whom has since been banned by Forbes. A little more research into David Jackson showed that he has a strong affinity for Adam Torkildson and is based out of Utah, just like Torkildson. 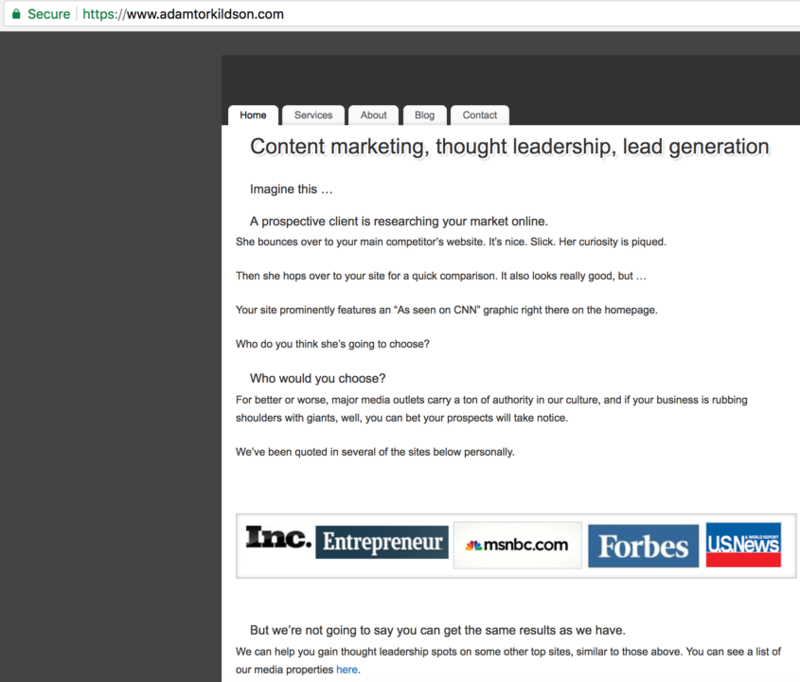 A little research on Adam Torkildson shows that he, for a living, publishes articles on the world’s “greatest publications,” indeed corroborating the details he provided us via email and over the phone. How many other articles were published on Forbes that were pay-to-play? The very idea that money is exchanging hands for “earned media” articles on the world’s greatest publishers throws into question their credibility and undermines the press in its entirety.